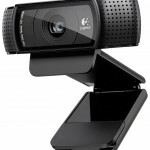 C920 HD Pro webcam is made by Logitech. It's video resolution is 1920 x 1080p. 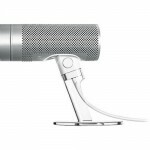 It has Logitech Fluid Crystal Technology and noise reducing dual stereo mics build right in. It allows uploading to Facebook and YouTube with a single click. It also has 15 megapixels photo capture and is Skype, Yahoo, Live compatible. 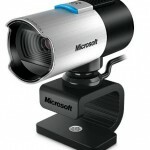 The LifeCam Studio webcam is made by Microsoft. It's video resolution is 1920 x 1080p. It has Auto Focus lens, TrueColor technology for any lighting situation and ClearFrame technology. It also has a high-fidelity microphone and is Skype certified. This cam is also Microsoft Lync ready and has 4 GB of Ram for fast streaming. It's rated 4.1 out of 5 stars. 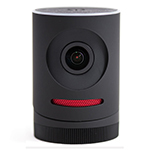 The Live Event camera is made by Mevo. It's video resolution (VGA) is 720P. It allows live streaming virtually anywhere via Wi-Fi or LTE. This device is made for iOS devices with iOS 9 or higher, and is the first camera to stream to Facebook Live. It also features built-in stereo microphones with dedicated DSP. The B910 HD webcam is made by Logitech. It's video resolution is (720 x 1280p) at 30 fps. It has a 78-degree wide-angle field of view. It also has 5 megapixel photo capture capabilities. The iSight video conferencing webcam is made by Apple. It's video resolution is 640 x 480p at 30fps. It has a Built-in noise-suppressing microphone. It only weighs 2.3 ounces. IRDC250 Wearable Video camera is made by uCorder. This is more of a portable device. It's video resolution is (640 x 480p) at 25 fps. It comes with a built-in Flash memory of 2 GB. It weighs only 1 pound. 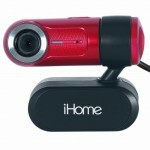 The iHome Mylife webcam is made by LifeWorks. It has a 5.0 megapixel max resolution. It also can track motion and comes with a built-In microphone. It weighs 1/4 of a pound. 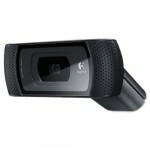 The B990 HD webcam is made by Logitech. It's video resolution is 720p at 30fps. It has a 78-degree wide-angle field of view. It comes with dual mics for natural wide band audio. It weighs 14 ounces. The pro 9000 webcam is made by Logitech. It's video resolution is 720p. It has 8 mega pixel photo capture capabilities. It also has a 75 inch wide-angle lens. It has RightLight2, RightSound and AutoFocus Technology. 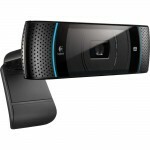 The C310 HD webcam is made by Logitech. It's video resolution is 1280 X 720p. It comes with a built-in mic with Logitech RightSound technology. It can do up to 5MP photo capture. Another feature is 1-click Facebook and YouTube HD-upload. The biggest problems with webcams are video quality and hardware encoding. These are serious concerns when considering the output of live streaming video for video chats, seminars, and other important forms of broadcasting. Often the specific problems include speckling, and color gradient inconsistencies. These issues are usually a result of severe processing of the video before it gets to the end user. The processing of these streams includes compression of the video to allow smoother streaming on multiple devices, which is often done by YouTube when a video is uploaded. These types of treatment are also done on live videos. If the video is low quality at the time of production, then gets processed a few times before delivery, it will produce a low-grade user experience. Try to create the highest quality videos when possible. There is potential USB compatibility, and PC performance issues as well. With high-quality video specifically, the hardware on your computer must be able to handle the device. It is the first level of processing and the most critical. Community streaming websites like Twitch often need h.264 encoded videos for improved framerates, which cams like the C920 may be perfect for – read more about this here. The top webcams on the market can do 720+ pixel HD Video at 15-30fps. And computers have live firewire, and live USB inputs to receive the video data. Most computers have USB 2.0 ports, so you do not need to worry about that. Firewire based cams are great for streaming, and can also be used with Camcorders. Check your computer for the Firewire port before buying anything. Check the package of your webcam, or camcorder for the Firewire connector, it is often supplied. No Firewire port? You can install a PCI card with Firewire ports. There must be an available slot on your motherboard for this upgrade. Remember, it takes lots of CPU power to encode videos in real time for good quality streams. 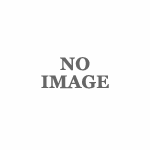 You should look at the detailed technical specifications of these cameras on retail websites to make the best choice for your computer. These are some of the best webcams for streaming, but there may be better cams on the market. I did not try all of these webcams myself. Based on the specs, user feedback, and my personal experience with webcams, these cams stack up well against lesser quality/cheaper devices. The device you buy should be perfectly compatible with your computer’s system. Don’t leave it to trial and error. Remember, H.264 video compression is the popular encoding format today, so make sure your camera can support this.